So here it is, part 1 of a wedding extravaganza I have been eager to blog for more reasons than one. Not only was this destination wedding the highlight of 2017 - but also one of the most stunning weddings I have photographed to date. It was a true pleasure photographing this extravaganza, not to mention the joy in getting to know family, friends and vendors involved. Yasmin (the bride) & Robin (the groom) first approached me in early 2017 with the idea of having a destination wedding somewhere hot, tropical and beautiful. 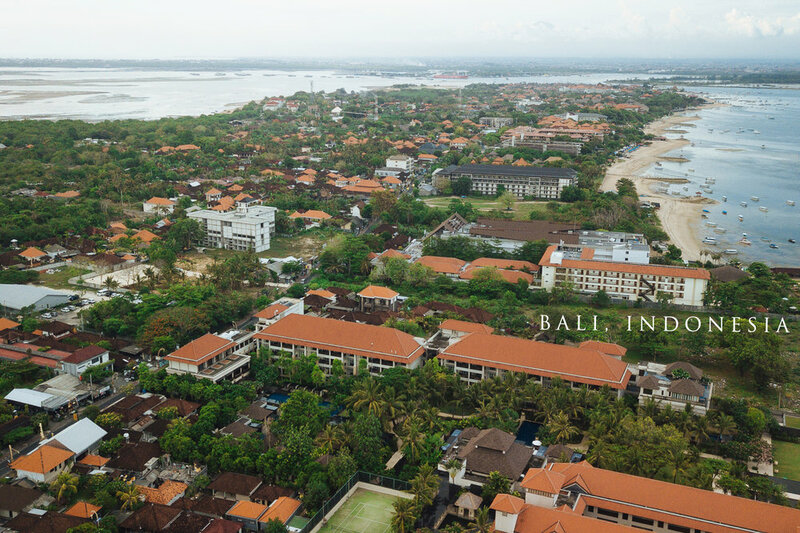 The greenery of Bali along with its beautiful weather, food and hospitality complemented the idea of their big day perfectly. The couple then moved onto confirming their destination wedding photographer, and I would like to believe myself, Yaz & Rob hit it off as soon as we met! It is always humbling when my clients approach me with a love for the style and approach I bring to Indian wedding photography. This wedding truly lived up to the tag of being the ‘destination wedding of the year’ – everything from Yasmin’s one of a kind Sabyasachi wedding outfits, bridal jewellery, groom’s outfits, décor for both welcome, and the grand reception was a joy to photograph. Before I go into the details, I would love to give a massive thank you to the Eventures Asia team who meticulously planned and pulled off this destination wedding. Vishal and Vanessa of Eventures Asia were a complete delight to work with. These guys and their whole team of assistants ensured that all the suppliers and guests had a pleasant experience. Speaking from a photographer’s perspective, they were key in ensuring things ran to time, and that everyone was prepped and given what they required. They really helped to make everyone’s stay and experience unforgettable - thank you guys! 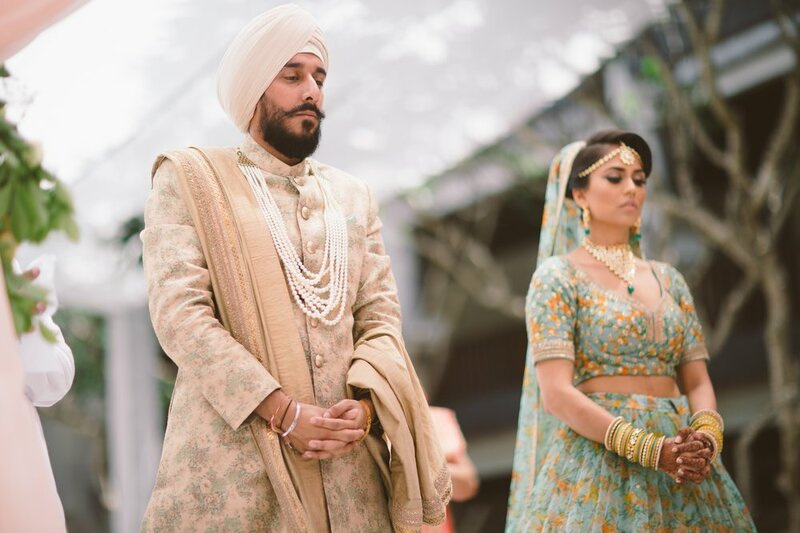 Yasmin & Robs 3 day wedding kicked off with their outdoor Sikh Wedding ceremony at the Conrad, Bali. Yasmin had flown out the super talented make-up artist Nina Ubhi from Dubai, to do her hair and make up for all the different events. Each event had the most stunning outfits and look to match. 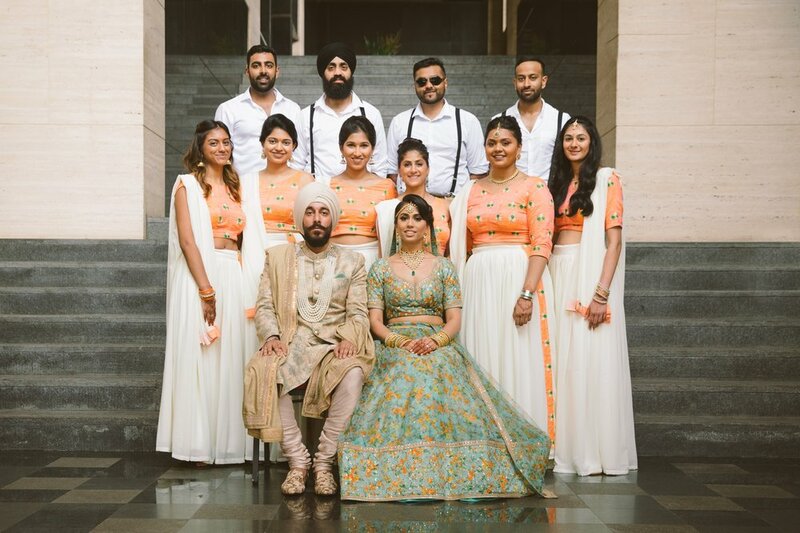 The bride’s Sikh and Hindu wedding outfits were by Sabyasachi and had been specially created and customized for her alone, making them ‘one of a kind’. 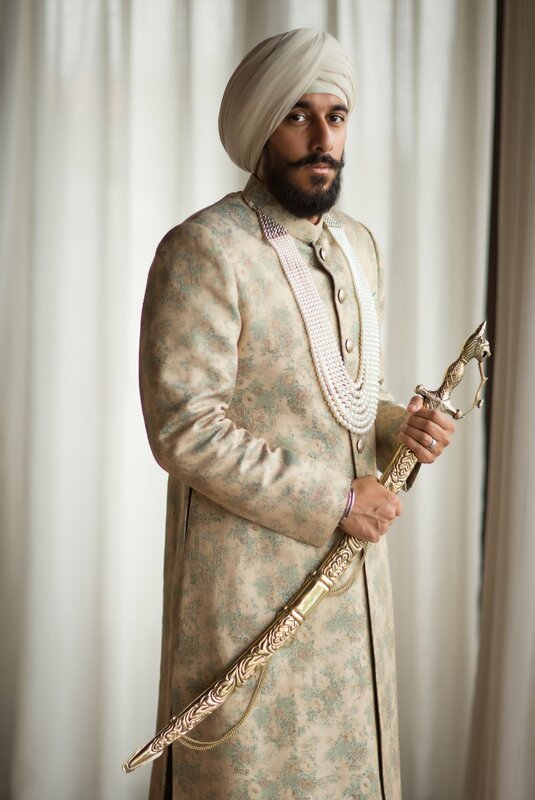 The groom’s outfits derived specially from Sabyasachi’s new collection just in order to match the bride’s. 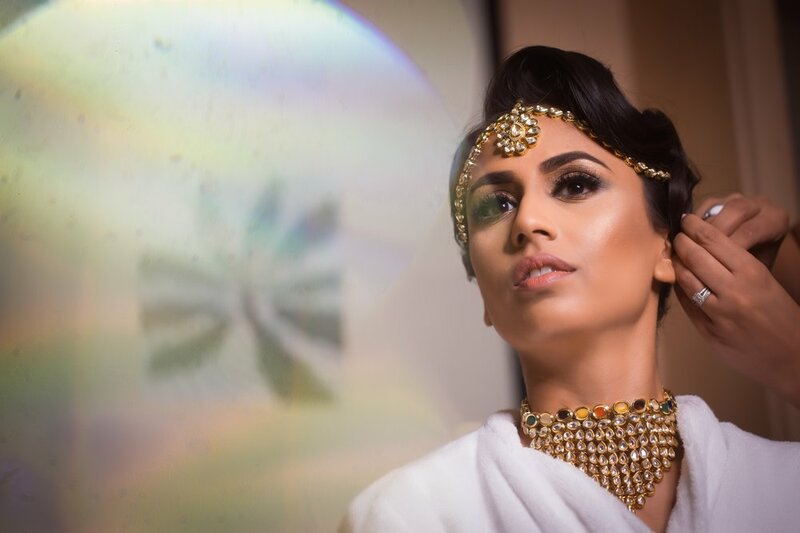 I would not exaggerate by stating that the couple were a photographer’s dream to shoot and enabled to showcase my natural yet chic approach to asian wedding photography. 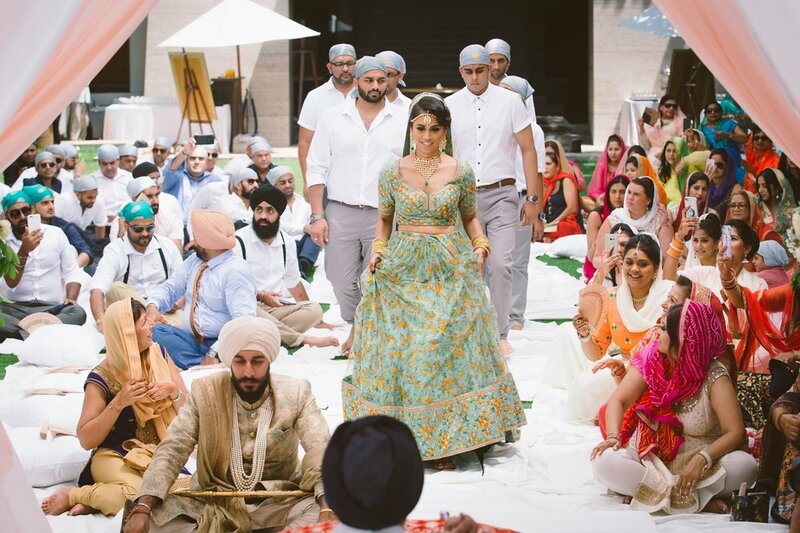 The Sikh ceremony was set outdoors and was full of love, respect and elegance. I wanted to bring the same natural unobtrusive approach of storytelling in the midst of the beautiful and colourful greenery. The natural settings enabled me to shoot those candid wedding photography images which you will experience below. Please take your time viewing the beautiful Sikh wedding below and I’m sure you’ll fall in love just like I did. I can not wait to share the Hindu wedding and grand reception in my next blog very soon!